IE has been busy in Portugal and this three part update begins with a conference at the Spanish Chamber of Commerce in Lisbon with Professor Rafael Pampillón. 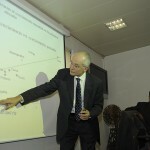 On the 30th Jan. Rafael Pampillon presented “Outlook for global economy in 2012, with a special focus on the European Economy” at the Spanish Chamber of Commerce in Lisbon. 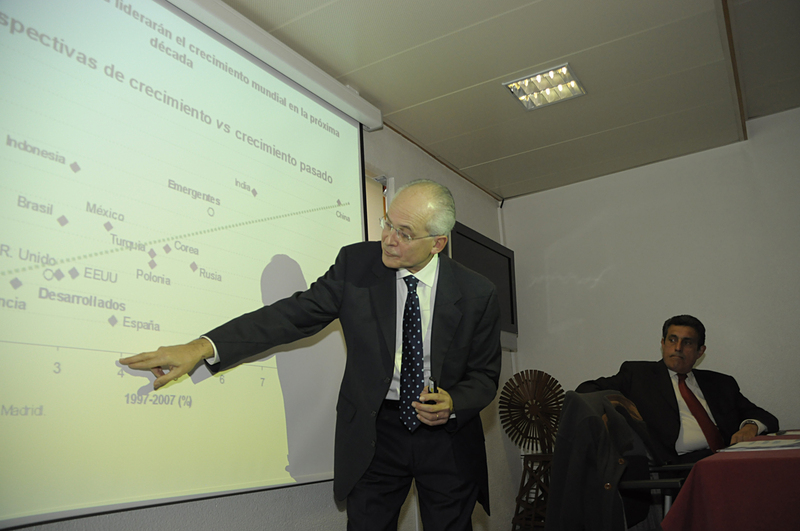 Professor Pampillon presented that the current adverse economic situation and the significant geostrategic changes ocurring in emerging markets are changing the patterns of the economic and financial context and penalizing Iberian economies. These emerging markets are destinated to play an important role in the European economy. Through the tourism sector, imports and by buying sovereign debt, countries like China, Vietnam, India or Brazil have the opportunity to help restore confidence in the European markets but also to be proclaimed as the great victors of this crisis. The second part of this update is from an event held on February , 23 when the IE Portugal Club organized a dinner under the theme “The telecoms market in Portugal”. 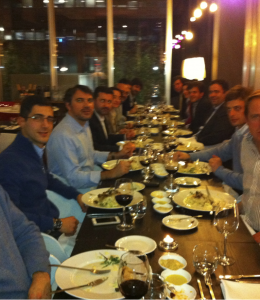 The invited speaker was João Henriques, the CFO of Vodafone Portugal, who presented his views on the challenges ahead. The presentation was followed by a lively discussion on the differences between fixed and mobile market, the future of mobile data and roaming, and the apps ecosystem. Stay tuned for further updates in the future. Finally, a Women’s Networking Event took place in Lisbon: “Recession or Renaissance: Thriving in the new Era”. The event was co-organized by the European Professional Women’s Network and IE. Video of the event can be found below.